* This week, Bethesda Softworks released gameplay trailer for the upcoming Skyrim DLC, Dawnguard. The trailer stands as confirmation that the add-on to Bethesda’s open-world RPG focuses on vampires and vampire hunters, revealing that new enemies, a new vampire form (with wings! ), and crossbows will be added to the game. The DLC pack will hit Xbox 360 platforms first, sometime this summer, with a price of 1,600 MS Points. That likely translates to $19.99 for PlayStation 3 and PC platforms once the Microsoft exclusivity period ends. 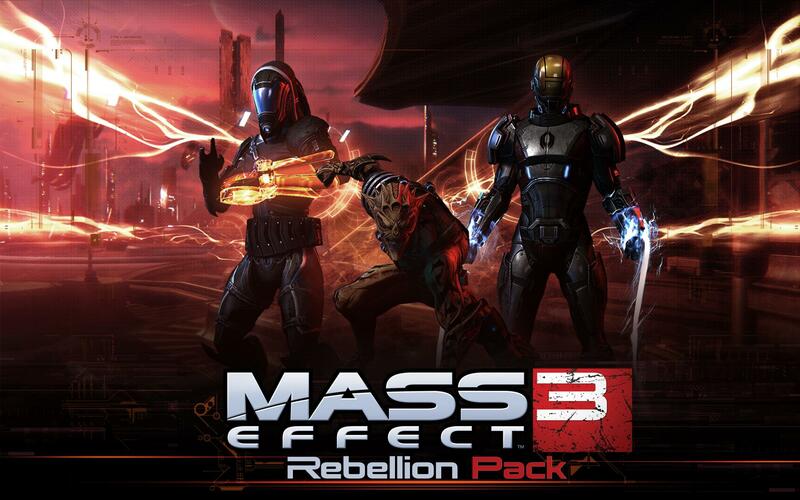 * If the wait for Skyrim‘s DLC seems unbearable, may you’ll tide yourself over with BioWare’s just-released Rebellion DLC pack for Mass Effect 3, which is free to all Online Pass-enabled players. The content boosts the multiplayer mode just like the Resurgence pack did before it, adding six new class variants (spread across three alien races), three new weapons, two new maps, a new mission objective, and a new gear slot to the cooperative Galaxy at War mode. All of this content can be unlocked by purchasing booster packs earned with credits that you pick up in the multiplayer mode. * Among the new offerings that Square Enix will be showing off at E3 next week is Final Fantasy Dimensions, a new game in the veteran RPG series that’s been designed specifically for iOS and Android platforms. The game’s description spells out a list of features that includes “2D pixel art, job-driven character growth, additional scenarios in which to inherit the jobs of your adventuring companions, and a classic story of light, darkness, and crystals.” The running theory right now is that Dimensions is a localized port of the Japan-only episodic mobile release, Final Fantasy Legends. * Want some more console DLC? Look no further than Dark Souls. 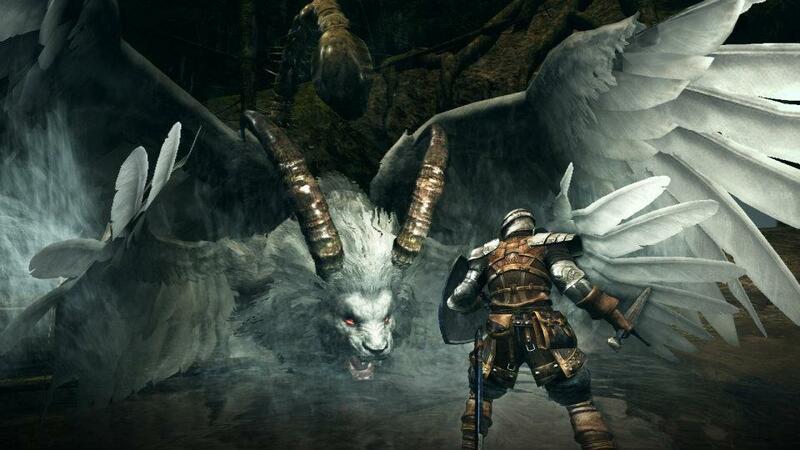 This fall, Namco Bandai and From Software will release the Artorias of the Abyss DLC for PlayStation 3 and Xbox 360 versions of the game for 1,200 MS Points / $14.99, adding all of the bonus content from August’s Dark Souls: Prepare to Die Edition for PC to the console releases. * Next week at E3, F.E.A.R. developer Monolith Productions will be offering attending members of the press their first look at Guardians of Middle-earth, a Lord of the Rings game for PlayStation Network and Xbox Live Arcade offering the same sort of play that you see in MOBA titles like League of Legends. Also due for a reveal next week is City Interactive’s XBLA/PSN/Steam title Dogfight 1942, an air combat game that was once destined for release as the boxed retail game Combat Wings: The Great Battles of World War II. Dead Island developer Techland steps back to its roots a bit with this week’s console/PC downloadable title Mad Riders. An offroad racing game that feels like a spiritual sequel to the developer’s Nail’d, Mad Riders sends players hurdling through a series of offroad ATV tracks in which the laws of physics do not apply. It isn’t a standout game, but it’s a fun little racer if you’re looking for something to pass the time with. This one doesn’t really need to be pimped. You either know and like Golden Axe or you don’t. If you do, then $10 should seem like no big deal at all to spend on all three classic Genesis titles, newly enhanced with Achievements, trials, and online co-op. Amiright? The Chillingo-published Air Mail is a 3D flying game set in a lush fantasy world that was designed by the talented folks over at N-fusion Interactive. You soar through the skies of a world that feels like it was pulled out of a Miyazaki film, completing objectives against an unfolding story that details a conflict between two at-odds nations. Sweet-looking visuals and fun to play. Seriously folks. A Naked Gun adventure game for iOS. Just go get it. You’ll follow the exploits of Sergeant Frank Drebin Jr. in a story from the movie’s writer/producer, Bob Locash. The fully voice-acted release features all manner of minigames, collectibles, and upgrades to be found across dozens of cases. Why are you still reading this? Go get it!